Phantom pump engineers have responded to industry concerns in developing their new range of slurry pumps. Phantom slurry pumps feature patented innovative designs that can significantly reduce the operational costs of slurry pumping. By addressing the key performance areas in slurry pumping, Phantom has achieved improved reliability, longer service life and greater efficiency. The interchangeability with the Warman AH Series pumps allow for no risk decision when it comes to changing from an existing AH series pump. Field trials in severe duty applications have demonstrated that Phantom slurry pumps and replacement parts are capable of achieving efficiency gains of up to 7% and component wear life of up to 700% longer than that achieved by other brands, resulting in significantly reduced operating costs and greater plan production. 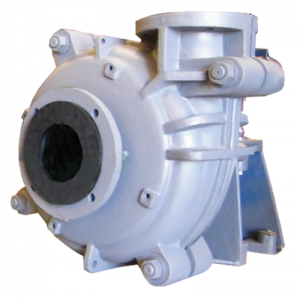 Completely interchangeable with AH series pumps with no risk of converting. Superior design and performance resulting in longer durability and extended maintenance cycles. Completely backed with support from Phantom engineers and designers. Documented and patented improvements over competitor parts. Proven lower operational costs against competitor products.